Hey lovelies, and cheers to the (almost) freakin' weekend! How are your weeks going so far? Mine has been a hectic mess as per usual. Between work, chores at home, attempting to frequent the gym regularly and an upcoming trip to Orlando this weekend, I've been going a mile a minute. Yes, they're essential, no, they're not "just an accesory". Unless it's poring outside or we're in the middle of a blizzard, I simply can't step out of my house without them. 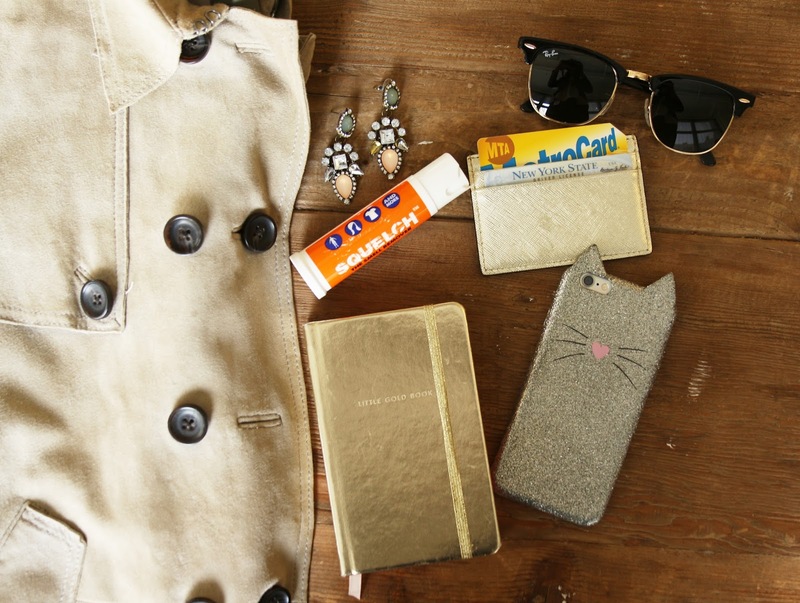 Not only do they protect us from unwanted UV rays but they also elevate any and every outfit. Try it, I promise it works! This is my trick to looking "put together" when I'm traveling and don't feel like having a full "face beat". My all time favorites (as you probably figured out by now) are these. Simply a must have at all times! 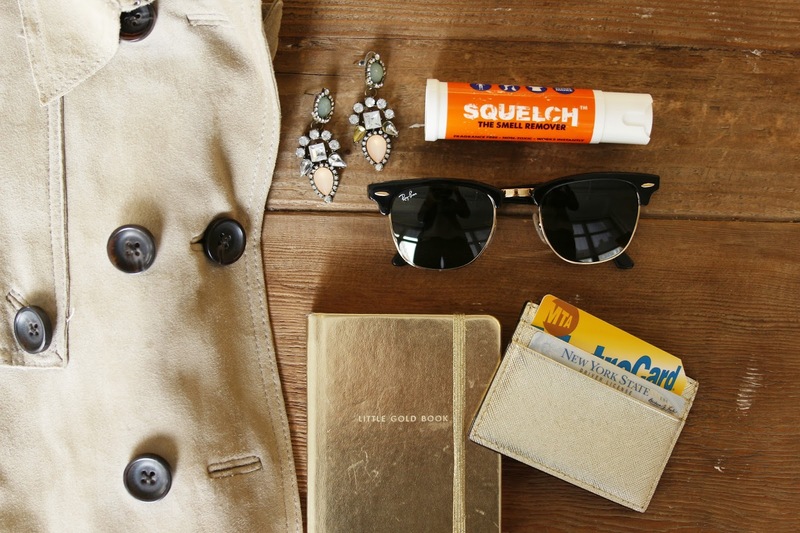 Squelch is a natural, scentless odor remover that saves my life on my commute home post-gym or when I'm hitting up the thrifts to find gems like the jacket featured in this post! Not only is it effective but it's also convenient since it's a small & compact bottle I can easily toss into any of my bags, despite their size! Best find of 2016 thus far! Speaking of small things, this is definitely a tiny item that made a huge change in my life in late 2015! I gradually started downsizing my wallet until I ended up using a cardholder almost daily, for the simple fact that it holds all I really need and it fits in my smallest of crossbodies. Only winning with this thing! This one's my personal favorite and the one I use non-stop! Because you just never know where the day will take you, especially here in NYC! If I had a dollar for every time I went from work to a bar, or from class to a restaurant, I'd be slightly less not-rich than I am right now (and would probably spend it all on more lipsticks, tbh). 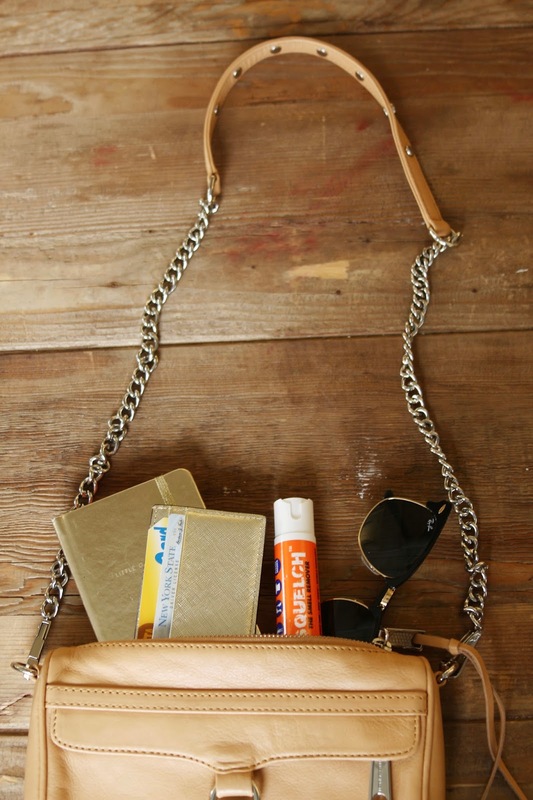 Another item that elevates any look, at any time. Try this classic red to kick up your look! This comes in handy for any ideas that might pop into your head while on your morning run to la bodega, or to jot down your daily to-do list. I've always said it, visual reminder is key to getting things done, and there's no better execution than with your on hand writing! I usually use mine to write down blog post ideas or mini-reminders. Anyway, gotta run now! Chao for now and don't forget to share what you can't leave your house without on the comments below!